Reports out of the leaking like a sieve Trump Administration say the president is looking for some space spectacular that can be conducted in time for his re-election campaign in 2020 to serve as evidences he’s made America great again. So, NASA is examining whether it can give him one by putting a crew on the first Space Launch System-Orion flight, which is currently planned as a circum-lunar flight without astronauts aboard. NASA Acting Administrator Robert Lightfoot, in a speech at the Space Launch System/Orion Suppliers Conference here Feb. 15, and a memo emailed at the same time to the agency’s workforce, said he had directed Bill Gerstenmaier, NASA associate administrator for human exploration and operations, to begin a study on the feasibility of putting a crew on the first SLS mission, known as Exploration Mission 1 (EM-1)…. Current plans call for the EM-1 mission to launch in late 2018 without a crew. The first crewed flight would be EM-2, which NASA is planning to launch in 2021. 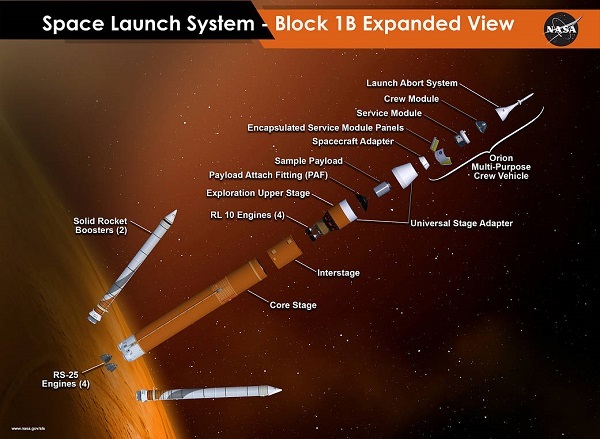 However, an assessment in 2015 performed as Orion reached a development milestone known as Key Decision Point C indicated that there was a 70 percent chance the EM-2 mission would launch no later than April 2023. That work, as Lightfoot suggested in his memo, would likely delay the EM-1 launch from its current estimated launch window of September to November 2018. Industry sources said they believe addressing the various issues would delay the mission to 2019 or 2020. That would still be sooner than current NASA schedules for EM-2. They all do that. Every new administration is one big “Good Idea Fairy” farm. Your political bias is not exactly… subtle. You could at least own up to that instead of mock innocence. Which is why we are all hear. a bit of alt.space.media. Did not realize that this ^^^ would create an autolink. .lol. What periodical? Oh you mean Doug’s own web blog/space news aggrigator? Yes, I suppose so. I also means we can comment on his commentary, no? Why are you commenting on your own comments? Abandon it and be grouped in with Nixon and his Congress as the leaders that abandoned the moon & manned BEO exploration? I think that Shelby and the other Congressmen that backs SLS/Orion thinks that hindsight is 20-20. When you’ve compared flight aboard a 2 million pound rocket to driving out of your driveway, it is probably time to step back and re-evaluate your position. >They all do that. Every new administration is one big “Good Idea Fairy” farm. Nope. Obama formed a committee to review the space program and ended up trying to cancel SLS/Orion. >Your political bias is not exactly… subtle. You could at least own up to that instead of mock innocence. I’ve never denied that. I’m amazed that entire threads are devoted to it. Nothing I wrote in this post is actually wrong. Which to him amounted to a “good idea”. But I was speaking more generally to the entire universe of policy. Each new president and their cabal of hangers-on sweep into DC with delusions of fixing every ill or at least making their mark on history, generally in ways that further their own party. The ITS test tank is split apart–probably tested to destruction–but who knows. I like SLS just fine. The Space Launch System–SLS looks to fly in the Trump administration. Great–now there’s two big loud orange things everyone hates. Try the baked fish–and everybody remember to tip your waiter.